The Heartland Conference has changed quite a bit from the past season. In addition to adding the reigning 2017 WPSL champions, Fire & Ice SC, the conference also boasts another 2017 playoff club. The Kansas City Athletics (formerly GSI Pride) are the defending conference champions. The two sides are familiar with one another, for Fire & Ice SC defeated the Athletics last year in the playoffs. St. Louis Lions are the new club in the group. Geoff Lorimier coaches the Lions, an expansion club that wasted no time, making quick player signings such as Wendy Sanchez, Maddison Beck, Mariah Loya and Maddie Pokorny. Des Moines Menace Women and KC Courage are looking to dethrone the two playoff clubs. Des Moines finished the past few WPSL seasons either second and third place. The KC Courage, on the other hand, have a new head coach in Katie LaForge. The first-year coach replaces longtime coach Wendy Louque, who has moved into a assistant coach role and remains executive director of the club. The North Conference boasts the only club in the Central Region to have a NWSL affiliate club. Chicago Red Stars Reserves finished second in the Heartland Conference last year with a record of 4-2-2 behind the former GSI Pride. The other returning club is the Minnesota TwinStars. A former member of the Heartland Conference, the club finished in fifth place last season. After failing to win a single match in 2017, coach Bulut Turk Ozturk is hoping a new conference could change the course for the TwinStars. Four expansion clubs make up a majority of the North Conference. Chicago City SC hired Nick Mulvaney to lead its first season. The club was founded in 2012 but will begin their first season of WPSL play this season. Dakota Fusion FC is the first WPSL from either North or South Dakota. The club is based in Fargo, North Dakota, Jack Hartley, who is no stranger to soccer in North Dakota, is the coach. Andreas Davi is the coach for the Milwaukee Torrent, the only WPSL club in Wisconsin. Fire SC 98, an expansion club in the Minneapolis-St. Paul metro, has signed Ashley Becker, an All-American from Gustavus Adolphus College. 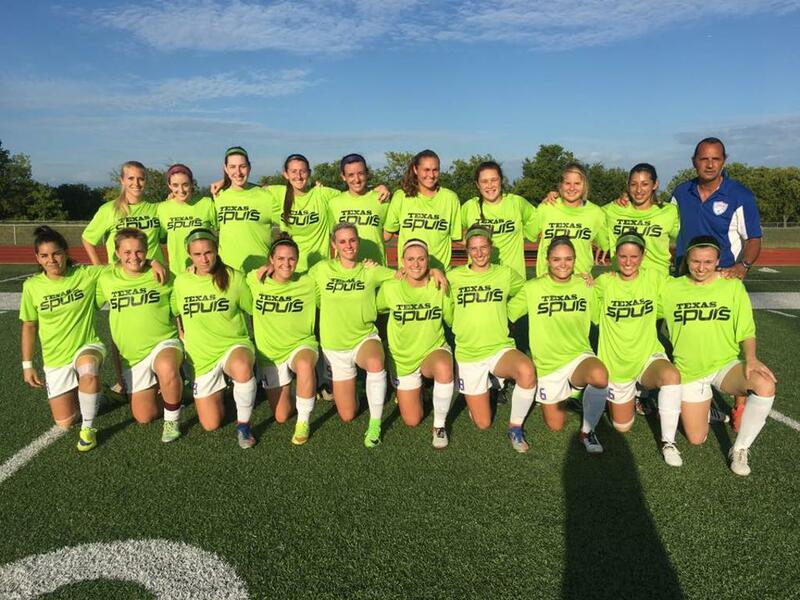 South Texas has two expansion clubs in AHFC Royals and the San Antonio Blossoms. Ben Williams coaches AHFC Royals, which as based in Houston. The roster includes former Houston Dash midfielder Cami Privett and former Sky Blue FC defender Danielle Johnson. TTI: Bluebonnets, another Houston-area club, are the defending conference champions. Lee Cullip coaches the Bluebonnets, which had a record of 9-2-3 in 2017. Texas Titans and Lonestar SC are two additional clubs returning to the conference. The Titans finished fifth in 2017 with a 5-7-0 record, while Lonestar SC followed closely behind TTI: Bluebonnets with a second-place (9-3-1 record). In addition to the Chicago Red Stars Reserves, the Central Region also has a club affiliated with a MLS club. FC Dallas is looking to carry over the momentum from last season’s second place, 6-1-3 record. Fortuna Tulsa is lone expansion club in the Southwest Conference. With Michael Wilson as its coach, its joins Oklahoma City FC in the Sooner State and begins the season with a home derby match Friday. Oklahoma City FC won the conference last season with a 7-1-2 record. FC Wichita, Texas Spurs FC and Little Rock Rangers are also in the conference. FC Wichita finished third last season while Texas Spurs FC finished fifth. The Rangers join after playing in the South Region last year.